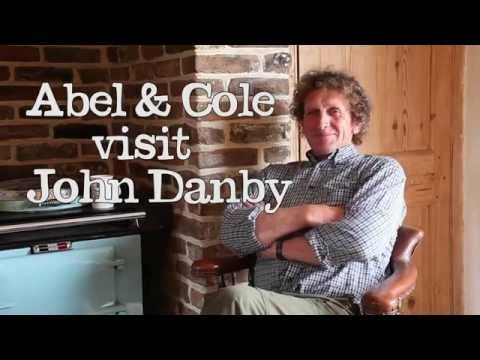 John Danby is veg royalty. He’s grown brilliant tasting organic veg for over a decade. And one of the first veg out of the ground in the New Year is the hardy, hearty January King. “It’s easy to see a cabbage as just a cabbage, but there are lots of different flavours.” And the King is said to be one of the finest tasting varieties, with a crunchy texture and a sweet flavour. “In the cold the leaf goes almost red. It’s been a warm winter so far this year so they’re ‘arf ‘nd arf’. A bit red and a bit green. We need it to get colder for it to get redder,” he tells us in his Lincolnshire twang. John’s got quite a bit in common with his cabbages when it comes to a liking for cold temperatures. Did we mention he’s a former speed skating champion? In 1993 he won the Lincolnshire speed skating championship. “With all our mild winters we don’t get frozen lakes to skate on, so I’m going to go to Holland this year to do some skating,” he says. When he’s not dreaming of skating, he’s out on the farm with his three cats. “We have two kittens as well as Zigger the cat. Zigger doesn’t like having to share the attention now.” That doesn’t stop the farm cat making sure the manure makers (aka the cows) are safe, while keeping a keen eye on the brown hares, rooks, pheasants, kestrels and all the other wildlife that swoop around John’s organic fields. In fact, if there were any more animals around John’s farm, he could turn it into a zoo. Luckily for us he’s more interested in growing his great cabbages.